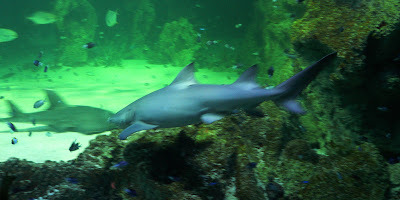 This past Saturday I went to the Sydney Aquarium. Nice place but not as impressive as the one on Okinawa. 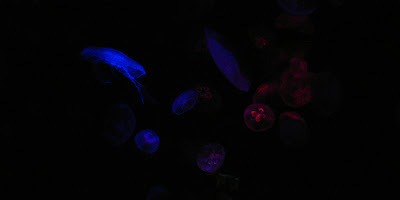 Some jellyfish under black lights. And a shark...maybe they feed all the kangaroos to the sharks?